A reader pointed that the book and blog are part of the recommended reading for MIT’s MAS S65: SCIENCE FICTION TO SCIENCE FABRICATION class. The honor is mine. Shouts out, MIT, and tip-o-scifi-the hat to instructors Sophia Brueckner and Dan Novy! The live chat of the O’Reilly webinar that Christopher delivered on 27 February 2013 had some great questions, but not all of them made it out of the chat room and onto the air. I’m taking a short break from the release of the sci-fi survey to answer some of those questions. Q: Joseph Lockett asks: Isn’t there a problem in that sci-fi interfaces almost always obey the interests of drama or SFX “glitz”, rather than actually having to produce fool-proof practicality in day-to-day operations? Sci-fi influences audience’s expectations, and the audience are your users. Their expectations partly drive demand, but we shouldn’t let sci-fi dictate real-world design. We need to be deliberate about understanding them so we don’t simply mimic them and replicate the good with the bad. Sci-fi interface designers are rarely trained interaction designers, and so we get an outsider’s view of what makes for a cool interface. Since they’re not beholden to users, physics, or even actual technology, their imaginations can run much more wild than ours. We can use their work like an elaborate brainstorm. Q: Adrian Warman asks: Humanoid robots (android) are not as efficient mechanically, yet we ‘prefer’ them (C3PO v. R2D2?) Will our preferences always override efficiency? A: I think it depends on the context of use. Humans are good at humans. So, when robots have social functions, it’s best that they appear humanoid, while avoiding the Uncanny Valley (or see page 183 in the book for more). They should stick to the Canny Rise, to coin a term. When they need to do other, non-social things for us, like build cars, or vaccuum our floors, or mine for rare earths in asteroid belts, they should be fit to task. Giving credit where credit is due, this is exactly the case with the Star Wars robots. C-3PO’s a protocol droid, for “human-cyborg relations” and R2-D2 is ostensibly an astromech maintenance droid. Their appearances match their functions. Posted in Star Wars: Episode IV - A New Hope (1977), ~ Web. 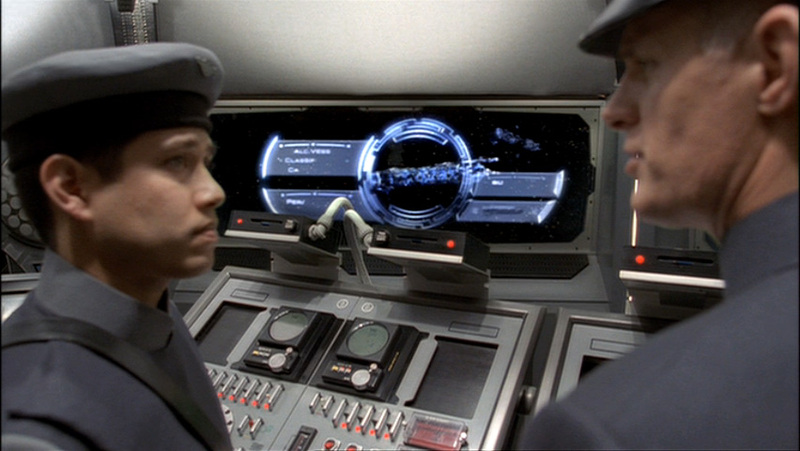 Science fiction films often take liberties with the technology that they display. After all, it is fiction. Though they can make up essentially whatever they want, technologies still need to be somewhat realistic to the audience. This influences the way that sci-fi technology is presented in film, but in turn, it’s how sci-fi influences technological advances in the real world. Nathan Shedroff, Chair of the MBA in Design Strategy Program at California College of the Arts, and Chris Noessel, Managing Director at Cooper, took it upon themselves to study the lessons that can be learned from science fiction. They analyzed a variety of interfaces from all different time periods of film and television. They discovered that when new technologies are developed and released to the market, people already have expectations of how it should work. 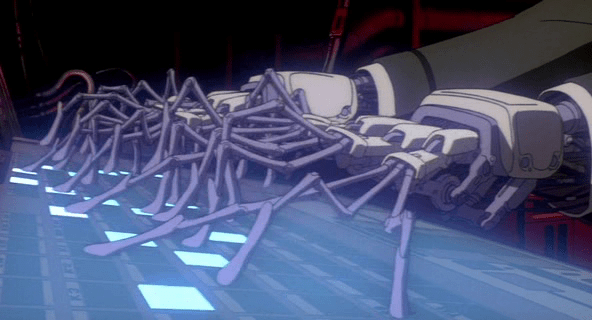 This is based upon having already seen a similar, fictional technology. Of course, there are instances where the technology in film is all but an impossibility, or at least impractical in real life. This changes as gestural and voice recognition technologies become more advanced, but a lot of interfaces in sci-fi are developed simply for the “cool” factor. Even then, looking to these interfaces as a reference point can help focus a design. Nathan and Chris join Jared Spool to discuss their Rosenfeld Media book, Make It So: Interaction Design Lessons from Science Fiction in this podcast. Peter Fenzel, Mark Lee, and Matthew Wrather are joined by Christopher Noessel, co-author of Make It So: Interaction Design Lessons from Science Fiction, to talk about sci-fi user interfaces; they also cover Lee’s visit to New York Comic-Con 2012. In this show we joined James and Per, interaction designers in Stockholm, Sweden. We talk to them about the background to Make It So, how the book came about, the influence that Sci-fi has on real world interfaces (and vice versa), and we nerd it up on a few occasions with some specific sci-fi examples. All this whilst spanning three time zones (Stockholm, New York and San Franciso).